Sitting at the foundation of every site is HTML. It's the only language that's essential to a web site's very existence. On the surface HTML may seem simple but there's much more to it that meets the eye. With different versions, many infrequently used elements and attributes, and varying ways that browsers interpret the language, only a comprehensive and up-to-date reference, like this book, has it completely covered. This book is your definitive resource for mastering HTML. The entire language is clearly and concisely covered, along with browser compatibility details, working examples, and easy-to-read descriptions. 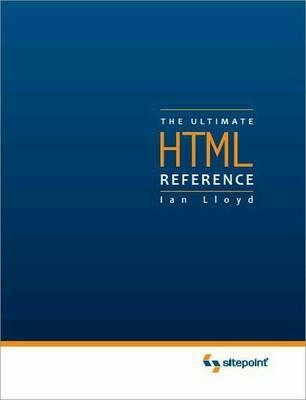 Authored by one of the world's most renowned HTML experts, this is a comprehensive reference that you'll come back to time and time again. Ian Lloyd runs accessify.com, a web accessibility site that he started in 2002, and has written or co-written a number of web development books. Ian was previously a member of the Web Standards Project and is a regular speaker at web development conferences, including the highly regarded South By Southwest (SXSW) and @media events.